We did our first camping trip of the season last weekend. We were so surprised at how busy Craigleith Provincial campsite was for early April. Although the weather didn’t cooperate fully we still had a great time being out. There will be a full blog post with all the photographs I took that weekend. 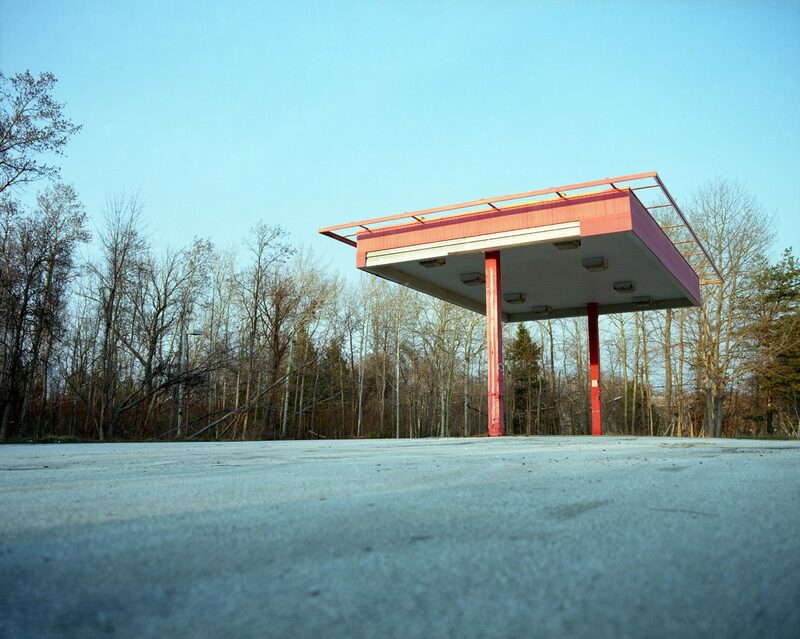 I took this photograph of the abandoned gas station just outside Collingwood Ontario with my Mamiya RZ67 medium format camera. It was loaded with Kodak Ektar 100 film.